Dr. Seuss, the world's most beloved children's book author, had an eccentric style that could be found not only in his work, but also in his garb; The Green Eggs And Ham scribe had a vast collection of hats not unlike those found in his picture books. Though it is still unclear whether he modeled his drawings after his hats or if he searched for the hats he'd already immortalized in literature, an exhibit featuring 26 of Dr. Seuss' most recognizable and outlandish hats is currently showing at Animazing in New York through Feb. 17. 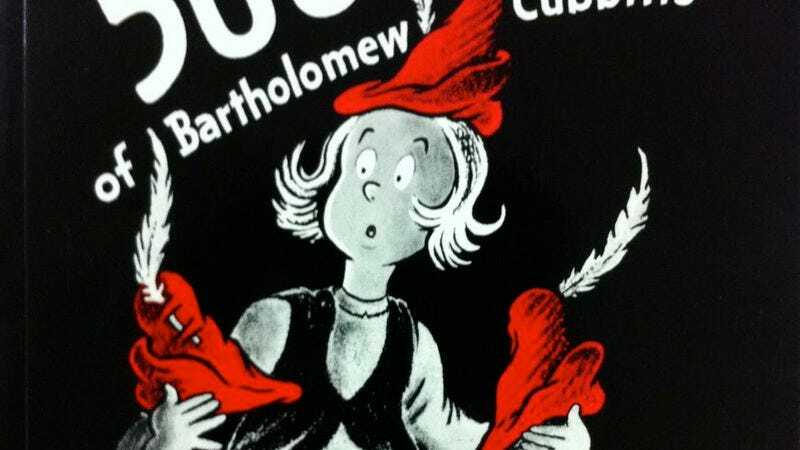 The hats will then continue to make themselves available to the public on a year-long U.S. tour honoring the 75th anniversary of Dr. Seuss' 1938 book, The 500 Hats Of Bartholomew Cubbins. Check out the dates for the Hats Off To Dr. Seuss tour below, and scope some photos of some of Dr. Seuss' legendary headgear here.